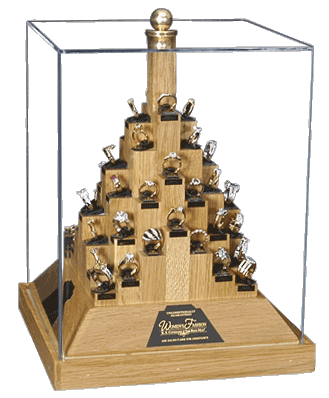 For maximum sales in a minimum amount of space you will find it hard to beat our 48 ring displays. If you measure sales by square foot, this may be your top producer. It’s easy to see why this program is our most popular starter program for new accounts. This display is 10 1⁄2” square and 15” tall.